Knowing where to start when learning how to trade the financial markets can be intimidating. You might think us biased, but we believe to ensure you are on the right path to trading success, you must invest in a trading education first. Whether you’re new at trading or an experienced trader, investing in a good education provides you with 2 important things – wider and more extensive knowledge and a support network. 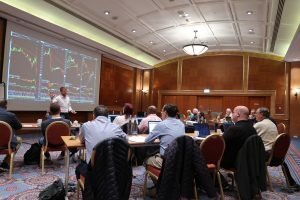 You will receive support and knowledge covering a range of trading topics from strategies to mindset as well as access to trading mentoring, whether peer or professional. Enrolling in a trading course is a great way to get the tools you need to become a profitable trader. To understand how to trade the markets and to get the best return and increase your profits, you must get educated. Here are our top 5 reasons why you should invest in a trading education. To have a good chance of becoming successful in trading the markets, you will need to have a solid foundation of trading knowledge and be willing to put in the time to master the art of trading. 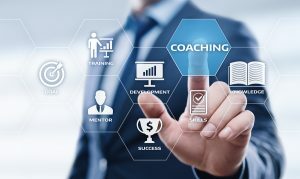 When looking for a trading education provider, look for one that offers coaches/mentors that are MSTA or CFTE qualified. Learning from qualified and expert professional traders gives you the best chance of improving your trading. If you are a beginner, look for a course such as Learn to Trade Live which covers the foundations and basics of trading including the different trading markets, instruments, charts, risk, brokers, and psychology. Knowing these basics will support you throughout your trading career and allow you to advance to more complicated and advanced topics. Many trading educators will give you their successful strategies because this is what is going to help make you a profitable and successful trader. As there are so many trading resources out there, including textbooks and free seminars, it is easy to receive misleading information. Make sure you receive quality and reliable education from a trusted trading college. this is better than trying to go at it alone. All the best traders have had trading mentors, even our MD, Lee Sandford! As with any school or college, you will receive support whether it be from the course support team or the coaches and mentors. While trading, it is nice to know that you have a support network that is on your side and wants to help you and your peers succeed. Having access to a network of traders with the same goals as you (to become profitable) will help you in reaching and achieving your trading goals. Having support from mentors and students can help you fine tune your trading method. A mentor can help you create and tailor a trading plan that works for you. Trading education isn’t just for those new to trading, it is also beneficial to intermediate and advanced traders. Ultimately, every trader wants to see consistent profits. As with any hobby, social or professional, to be successful and achieve your goals, you will need to consistently work on improving yourself and your skills. You will need to practice and evaluate where you have made mistakes or succeeded goals and readjust your plan accordingly. When a strategy works for you, you will stick to it and get better at it. When it doesn’t, you will have to evaluate where you are going wrong and learn from your mistakes and make improvements. Spotting these trends is key to your success and a good education provider will help you to identify these. It is said that trading success consists of 20% strategies and 80% mindset. Trading education providers will be there to support you and teach you the appropriate ways to trade. If you want to learn to do something well, with anything in life, you will seek knowledge and advice from experts. The same concept applies with trading. 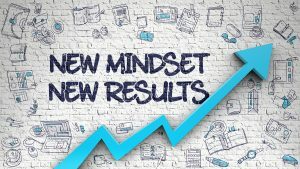 Mindset is a huge player in determining your success as a trader. Not only will you learn how to minimise risk, you will learn how to manage your mindset to maximise your trading potential. Your mind will already be at ease knowing you have professional traders and coaches guiding you along your trading journey. A professional trading mentor will be able to assist you in interpreting your personality profile and creating your trading plan around this. Become the master of your destiny and take your first steps to becoming a successful, consistently profitable trader today. If you would like to check out our course range, please click here.